Following in the footsteps of other social media giants, Instagram is now trying to add flexibility to their platform in order to attract more business owners. Since their inception in 2010, Instagram has had no way to allow users to schedule posts. Posting manually can be time-consuming for businesses that want to send out posts daily at certain times. Savvy business owners are well-versed on the best days of the week and the most optimal times for post scheduling. This type of scheduling feature is already available on many platforms including WordPress and is considered indispensable, allowing users to schedule a post for whenever they like. Research shows that there are better times and days of the week to post content. What days and times are best for your posts? One study claims that videos that get posted to Instagram at 9:00 PM get 34 percent more action. Regular content will get more attention if posted on Monday or Thursday between 3:00 – 4:00 PM. Instagram traffic decreases on Sundays. All these little facts can help users reap a big reward in engagement from their audience, which is why business owners are taking the time to learn all the nuances of optimizing traffic on their favorite social media platforms. Instagram will add support to its API, then use the functionality of applications like SocialFlow, Sprout Social, and HootSuite to support the feature. Eventually, they do believe that post-scheduling will be added to the product itself. At the moment, the post-scheduling feature doesn’t include ads, but that could change as well. The major drawback is that most regular users will not be able to take advantage of post scheduling. Only larger companies that use third-party software programs with Instagram will be able to use the new feature. Industry experts do believe that it’s only a matter of time before post scheduling will be free and available to everyone. SocialFlow CEO Jim Anderson commented that, “It’s always been very time-consuming to create Instagram posts. That’s not necessarily a problem for individual consumers, but when you’re a media company that creates more than 100,000 posts a month, it’s simply impossible to do everything manually”. 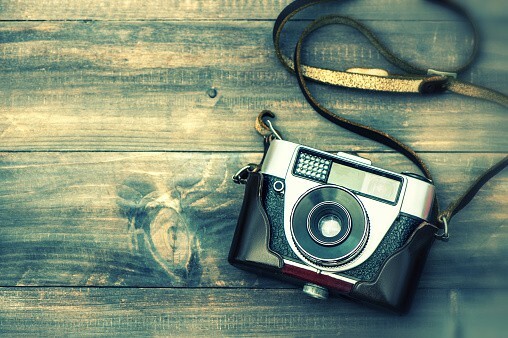 Instagram has plans to phase out their older API Platform during the next two years. The older API will be replaced with a newer Graph API. This will give users the ability to analyze metrics on their company’s performance. By allowing business owners to gain insights and analyze metrics, Instagram believes it can better compete with giants like Facebook and Twitter. The new API will also allow users to moderate comments and respond to them. These changes are set to take place on July 31, 2018. Other features aimed at attracting more businesses to its platform are being considered by Instagram. These include a feature called business discovery, which, similar to LinkedIn, will give Instagram users the ability to check out other business profiles. The company notes that it will eventually roll out these cool features to all its regular users, and not just business owners. One of the more popular software platforms that integrates with Instagram is HootSuite. Posts can be scheduled from the HootSuite dashboard or the mobile app. As previously stated, only business accounts are eligible for this service at this time. Using HootSuite, customers can schedule their posts so that they are published on a specific day and timed. HootSuite also allows companies to run analytics to discover information that can help them reach a broader audience. The early results are in and the majority of business owners are reporting better conversion rates and more traffic with these new Instagram features. This success has spawned a new revolution for Instagram, a platform that has always been about photos and videos. Now, using a feature called “Type Mode”, users can type words that can be placed on colorful backgrounds (e.g., many users enjoy sharing the lyrics to their favorite song). Users can add fancy font styles, photos or videos to enhance the post. Instagram users are traditionally very imaginative people so this offers them an innovative outlet for their creativity. From January 2013 to September 2017, the number of active Instagram users has risen from 90 million to 800 million. Though this does seem like a huge number of people interacting on their platform each week, for context, Facebook has over 2 billion users worldwide. Social media platforms with this type of potential exposure represent an unprecedented advertising market for companies of all sizes and types.